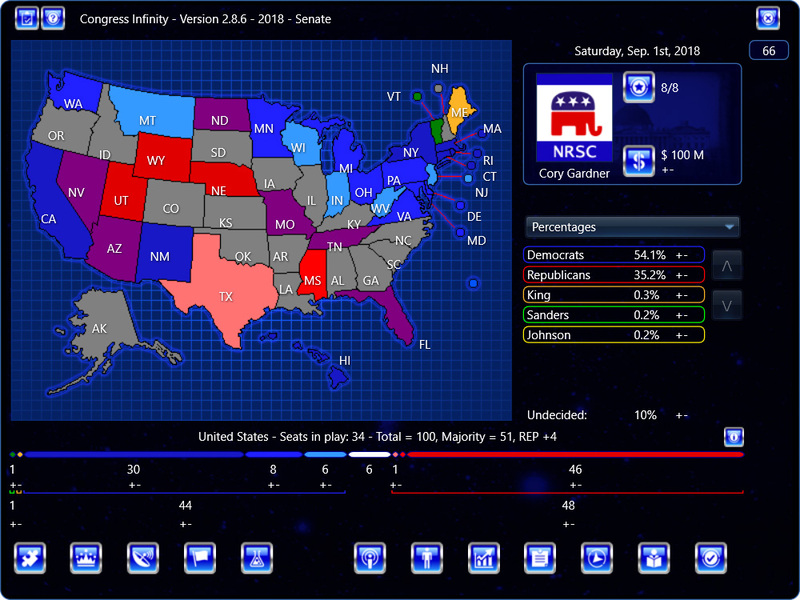 This sneak-peek adds the 0-10 campaign attribute system, more contextual info to the Electoral Vote Info Screen, updates the Senate – 2018 campaign (including recent events), and more! Mac version will be available soon. How did you determine that Obama’s fundraising ability is only 3 and Trump’s is 5. I think Democrats have been outfundraising Republicans; although, I don’t know the numbers between Pres. Obama and Pres. Trump. In Senate – 2018, both Trump and Obama’s fundraising numbers are 3. Trump’s Barnstorming is 5 due to the very large crowds he has been attracting for rallies recently. Obama’s Barnstorming is 4. When I go to “Updates and Downloads” and hit the link for this update, it takes me right back to the blog page. Any Ideas why? I am on Windows. Avast says the setup is a virus! Avast (and other security softwares) often have ‘false positives’, and this sounds like it would be one of them. Fixed – thanks for this.